I love history but never studied it at school. Why? Because I love seeing, touching, smelling…….and BEING THERE. I don’t like having to read long, formal recounts or be tested on dates and names. I wasn’t too familiar with the history of New England before visiting Boston, so it was exciting to be learning so much in a short amount of time. Not being a fan of organised tours I decided to walk part of The Freedom Trail myself with the companionship of a $7 guide book. The Freedom Trail is a 2.5 mile red-brick walking path that shows you very significant sites that were heavily involved in the years surrounding America’s break from Britain (a.k.a. the American Revolution). Over the next few years: The British impose several taxes (including The Stamp Act and The Townshend Act) which really upsets the Americans so they get angry and riot. In 1770 the Boston Massacre occurs and a few civilians die at the hands of British troops. 1773: The Tea Act is passed, the Americans are more angered at getting taxed so highly on items so they throw a bunch of tea into Boston Harbour. This is known as The Boston Tea Party. The British get touchy about this so they impose even more taxes and restrictions. 1775: Lots of fighting between Britain and America. 1776: Representatives from each of the original thirteen colonies vote to adopt a Declaration of Independence to reject the British Monarchy and its Parliament. Key players (“Founding Fathers”) included George Washington, John Adams, Thomas Jefferson and Benjamin Franklin. The 4th of July, Independence Day, is the celebration of those thirteen states becoming independent and no longer being a part of the British Empire. Learning about this rich history from a textbook is one thing. Being there to see the buildings it happened in is a whole different experience. 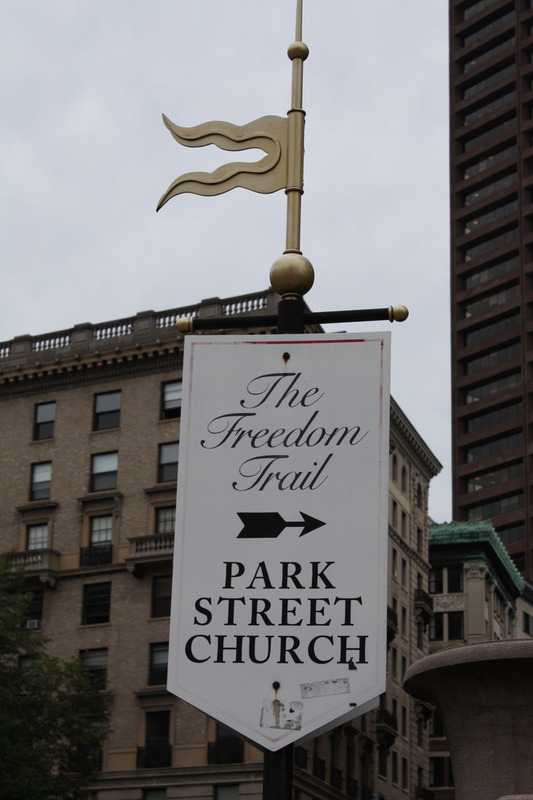 A sign indicating the direction of the Freedom Trail. 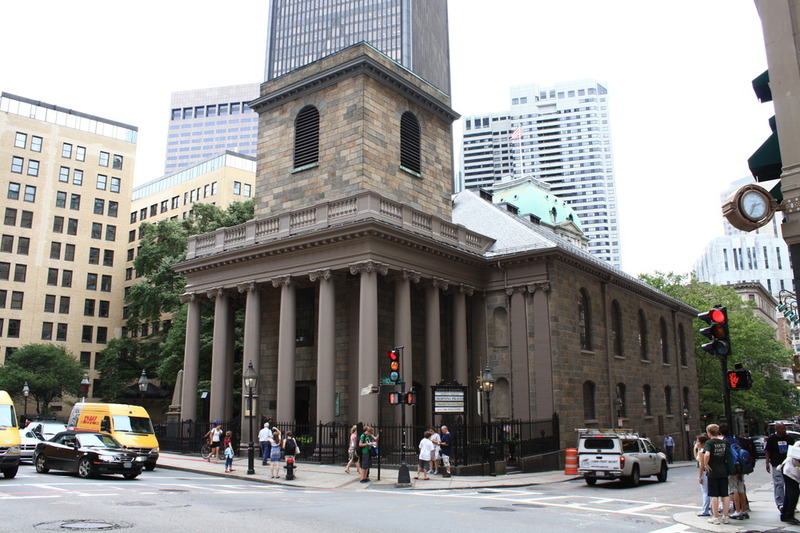 King’s Chapel – “A symbol of what the Puritans fled”. The Puritans that settled in Boston were religious rebels fleeing the corruption they saw in the official Church of England (Anglican Church). Half a century later, King James II ordered for an Anglican parish to be established in Boston. 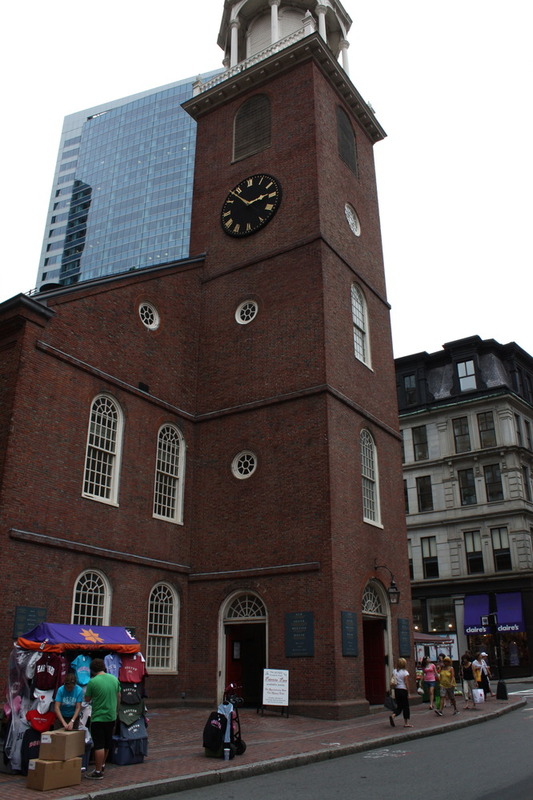 Old South Meeting House – where Boston’s citizens met repeatedly with English officials to demand their rights. 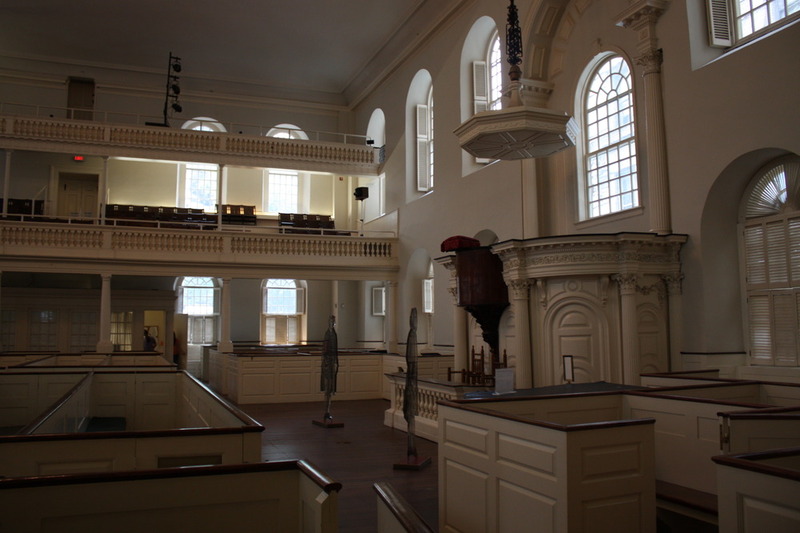 The inside of Old South Meeting House. 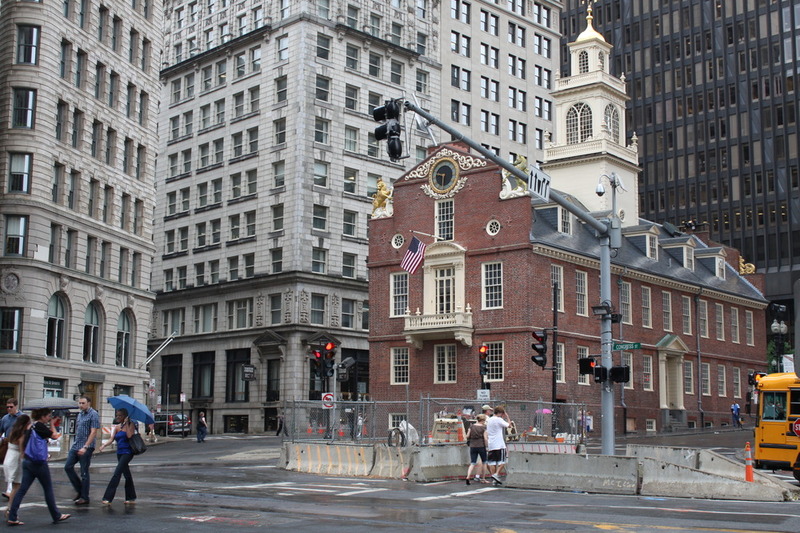 Old State House – United States’ oldest public building and originally the centre of British authority.